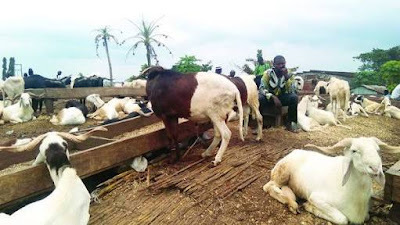 The Sokoto State Zakkat and Endowment Commission has distributed N10.3 million to 86 District Heads to buy cows for orphans during the Eid-el-kabir celebrations coming up next weekend. Malam Lawal Maidoki, its Chairman, in a brief speech shortly before disbursing the money, stated that the gesture was part of government’s effort to ease the suffering of the orphans and the needy. Maidoki said that the financial constrains facing the nation had not stopped government from executing its good intentions toward a better life for the poor and vulnerable in the society. He said that the money was routed through the traditional rulers because they were the closest avenue through which government could reach targeted persons like orphans and the physically challenged. Maidoki said that government would soon construct Zakkat offices across all districts in the 23 local government areas, and urged the District Heads to support the commission’s tree planting efforts to improve Sokoto’s environment. A representative of Sultan Sa’ad Abubakar III, Alhaji Kabiru Usman, the Sarkin Yakin Binji, who flagged off the disbursement of the money, commended Gov Aminu Tambuwal for the efforts to ease the suffering of the people. He called on the District Heads to ensure proper use of the money to improve the lot of the poor and particularly ease the hardship of orphans.